The Mexican Flag Cocktail is a fun and different drink recipe to help recognize our southern neighbors and celebrate Cinco de Mayo. "Coctel Bandera Mexicana" is the way you say it in Spanish. The Mexican martini has the colors of the Mexican flag built into the recipe. 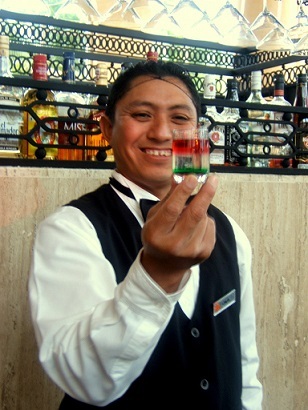 The fruit or the alcohol used in this Mexican cocktail drink recipe represents the colors of the Mexican flag: red, white and green. This Mexican Martini Drink Recipe also uses the national drink of Mexico - tequila. As with so many drinks (and food items) there are several recipes for this Mexican drink. I include what I believe are the two most popular. Preparation time: 10 minutes. Serves 4-6 depending on your glass. 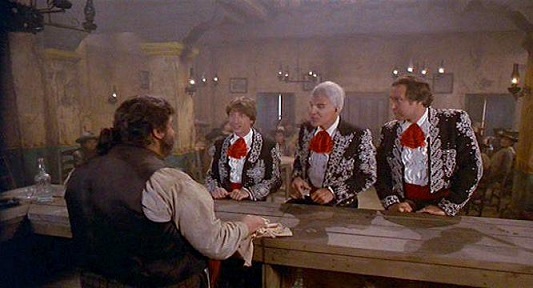 "Okay, so make us a simple 'Mexican Flag', amigo." Enjoy your Mexican Martinis, each called a "Coctel Bandera Mexicana", and the company of those you share them with! Did you know? Tequila is made from the blue agave plant, primarily in the area surrounding the city of Tequila. In 1608, Spain's King Carlos IV granted the Cuervo family the first license to commercially make tequila.